The Miller Turbolite is the only Mini Block certified for Factor 2 anchorage (below the feet), most other similar blocks are only certified for Factor 1 anchorage only (shoulder level or above). Extremely lightweight and very durable. Length : 1.8mtr when the webbing is fully extended. 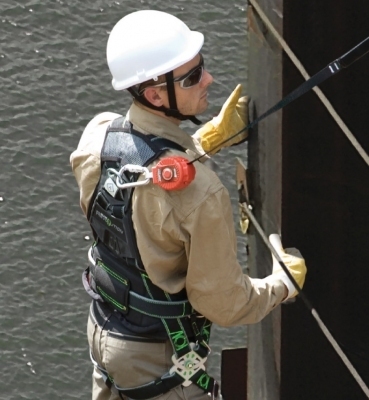 Instantly arrests a free fall with a built in shock absorption system in the mechanism. 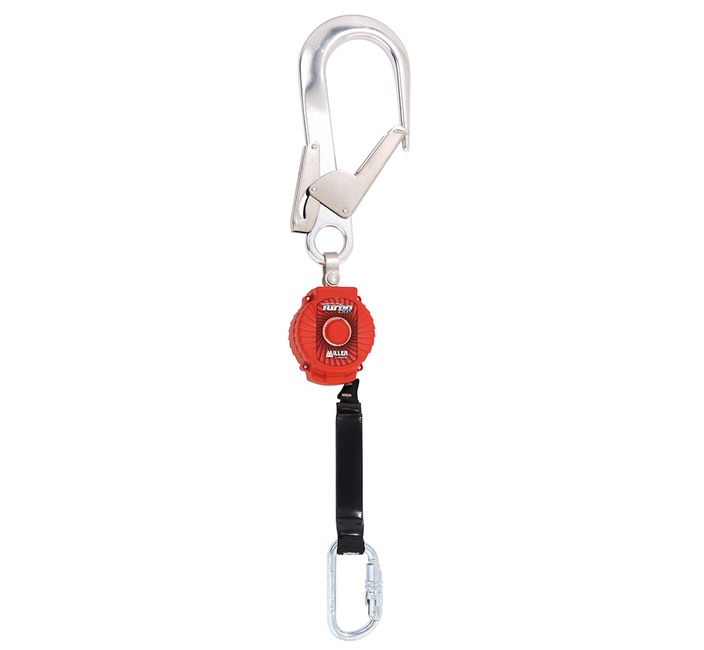 Extra safety of a Twist-lock karabiners and a swivel system at the connectors prevents life-line twisting. Extra large Scaffold Hook. EN360.